The Weeknd's "Can't Feel My Face" is one of the biggest songs of the summer, aided by a memorable video where Abel Tesfaye lights it up for a nightclub crowd. Those visuals have now come under fire from a director of an unreleased Majical Cloudz video, who is suggesting that there's an "uncanny" resemblance between the two clips. Mitch Moore, who has also worked with Mykki Blanco, used his personal Instagram account yesterday (August 24) to point out a few similarities between his unreleased video with Majical Cloudz and Grant Singer's recent video with the Weeknd. Most notably, the clips find both men singing their songs onstage for less-than-enchanted nightclub crowds. According to Moore, the release of his video for Majical Cloudz was held up over "creative differences," though the raw footage has apparently circulated. He's now insinuating that the makers of "Can't Feel My Face" may have seen the visuals and lifted ideas for their own production. "It's come to my attention that some body [sic] at the helm of a certain mega popular video must have seen one or more of these unreleased edits," he writes. "The resemblance is too uncanny. My mind is a mansion of creativity, so this petty theft is nbd to me. BUT I'M STILL CALLING THE POLICE!!" The idea of a singer performing to a malaise-stricken crowd may not be the most original, but Moore is further trying to prove his point with a side-by-side comparison. Using a split screen approach, it does demonstrate how each bounces between shots of their respective vocalists and various in-club figures. As far as this snippet of footage is concerned, though, Majical Cloudz frontman Devon Welsh doesn't go out in a blaze of glory. It should also be noted that the InstaVid is scored by Shania Twain's "I'm Gonna Getcha Good! ", which could be a dig at the alleged plagiarism of the Weeknd clip. You can make that call for yourself by giving both a peep down below. 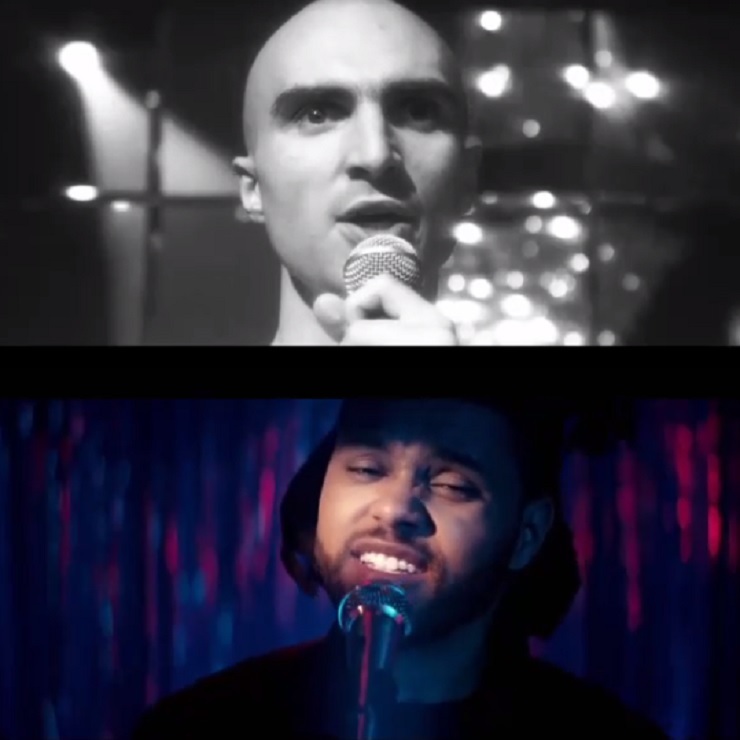 Neither Majical Cloudz, the Weeknd nor "Can't Feel My Face" director Grant Singer has responded to Moore's claims. UPDATE (8/25, 1:30 p.m.): Majical Cloudz have now addressed the situation via Twitter, and you can see the tweet below.